PointWorthy, OrgHunter, & Make My Donation, deliver more than $140,000 to the American Red Cross and other charities for Harvey disaster relief. More on the way. Palm City, Florida, Wednesday, September 27, 2017 – By the end of the third week in September, in the wake of the havoc wreaked by hurricane Harvey on east Texas, PointWorthy, headquartered in Bethesda, Maryland, in collaboration with OrgHunter and Make My Donation, both headquartered in Palm City, Florida, delivered more than $140,000 to charities for Harvey disaster relief. 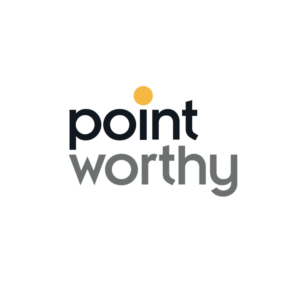 PointWorthy, an end-to-end loyalty points redemption network, makes it possible for consumers or businesses to convert loyalty points into philanthropic cash contributions. The company enrolls loyalty reward providers, converts points to cash, clears transactions, disburses funds, and securely maintains donation records. Loyalty reward participants can redeem points through a loyalty provider’s website, the PointWorthy website (www.pointworthy.com), or through a charity website that features the PointWorthy widget. 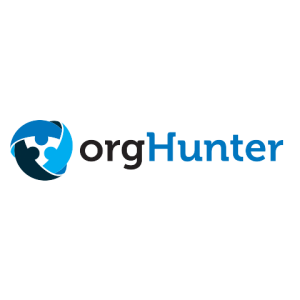 The alliance of OrgHunter and Make My Donation provide the infrastructure and processes for charity authentication, donation processing, and regulatory compliance. OrgHunter maintains and licenses access to a uniquely validated and updated database of all IRS tracked 501(c)(3) organizations. In addition, it develops and maintains the information technology infrastructure and processes upon which Make My Donation depends. Make My Donation, an IRS approved 501(c)(3) donor-advised fund, manages compliance with regulatory bodies, processes donations, ensures that donors receive an IRS-compliant tax deduction receipt, authenticates first-time recipient charities, mails grant checks, and provides reporting. The collaboration of the three companies is making it possible for generous and benevolent consumers and businesses to securely and confidently convert loyalty rewards to cash which promptly goes to trusted charities delivering disaster relief. Mario Margolis, founder and CEO of PointWorthy, Chris Annase, founder, and CEO of OrgHunter, and Michael Koplas, CFO of Make My Donation all concur that they are gratified that the results of the collaboration are in place to support disaster relief. The three companies only started working together last May. Not long after hurricane Harvey made landfall near Rockport, Texas on Friday, August 25, 2017, at about 10 p.m., CDT as a category 4 hurricane with 130 mph winds, corporate rewards providers launched campaigns advocating conversion of points to cash donations for Harvey disaster relief. The system and infrastructure established by PointWorthy, OrgHunter, and Make My Donation are making it possible for point holders anywhere in the world to convert their loyalty points into secure cash contributions to Make My Donation with charitable grants issued from the donor-advised fund to a donor-identified 501(c)(3) charity registered with the IRS, in this case for Harvey disaster relief. Through the third week of September, the corporate initiatives advocating benevolence have lead to contributions of more than $120,000 to the American Red Cross. Another $20,000 went to other Texas-based charities providing disaster relief. The infrastructure and systems resulting from the collaboration of PointWorthy, OrgHunter, and Make My Donation ensures that the cash is getting into the hands of the designated charities when it is needed the most. Make My Donation in conjunction with our partners are having a tremendous impact throughout the United States!